This February marks the 50th anniversary of American Heart Month. According to the Centers for Disease Control and Prevention, cardiovascular disease, including heart disease, stroke, and high blood pressure, is the number one killer of women and men in the United States. 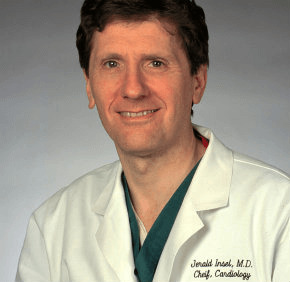 Dr. Jerald Insel, chief of cardiology at Good Samaritan Hospital in Baltimore, offers these tips for staying heart healthy. 1. No matter your age, stay active. That could mean walking 10 minutes a day or doing stretches in your chair. Do something every day. Marilyn Bevans, 64, has a regimen that includes running and strength training four times each week. 2. Watch what you eat. Favor chicken, fish, nuts and “super foods” such as blueberries, mangoes and sweet potatoes. Seniors should be careful to keep their weight up. 3. Don’t smoke or use drugs. It’s self-inflicted harm. 4. Try to be happy. Have a positive outlook. Be kinder and gentler. 5. Have faith. Go to religious services once a week and realize there’s someone above us. It leads us to be better people.